Traditional methods of delivering financial services have been slowly phasing out due to the rise of technological advancements. These breakthroughs have helped smooth and secure financial transactions in the 21st century. Canadian financial technology (fintech) companies are constantly innovating to push boundaries and challenging themselves to seek alternatives for streamlined transaction workflows. To recognize and celebrate the innovation in fintech and artificial intelligence, Digital Finance Institute (DFI) is going into its fourth year hosting the prominent Canadian FinTech & AI Awards in Toronto, Ontario. DFI acts as a catalyst to the fintech ecosystem through business support, research, and providing networking and learning opportunities to all stakeholders; experienced and newborn fintech companies alike. 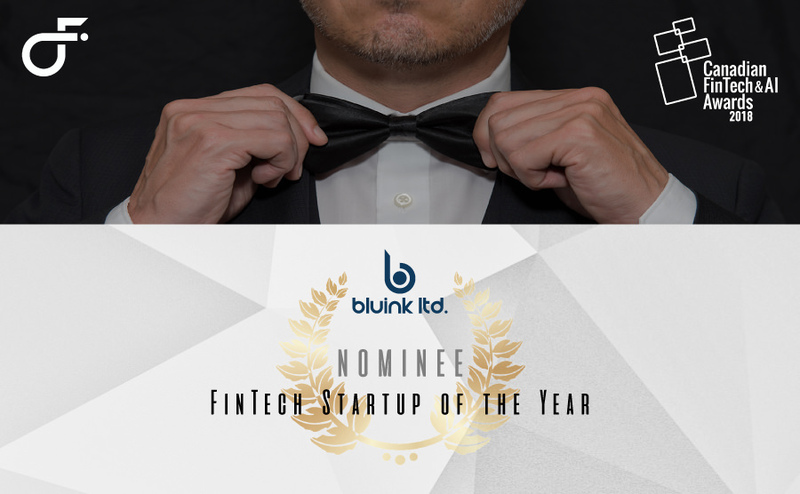 We are excited and pleased to announce that we have been nominated for the ‘FinTech Startup of the Year’ category at DFI’s 4th Annual Canadian FinTech & AI Awards. Bluink Ltd., focusing on e-identity since 2015, specializes in identity and access management (IAM) and customer identity verification. The use of smartphones is an integral part of our solution infrastructure, acting as a strong authenticator and secure offline store. Our mission is to empower people and businesses by making secure access simple using strong digital identities. As an Invest Ottawa accelerator program member and L-Spark accelerator graduate, Bluink is a fast-emerging cybersecurity technology start-up, collaborating with organizations in various sectors and fields. Our current projects revolve around the financial, medical, automotive-technology, and nutraceutical industries. Bluink’s most recent work focuses on eID-Me, an app that helps citizens prove their identity for online and face-to-face services. This application is convenient to use, has strong security measures, and offers privacy protection. This development—recognized by Ontario Centres of Excellence’s Small Business Innovation Challenge (SBIC)—was done in response to a problem issued by the Ministry of Government and Consumer Services last year, stating the absence of a user-friendly and privacy-enhancing method that allows Ontarians to prove their identities. Amidst waves of cybersecurity attacks and data breaches, our goal is to efficiently and securely verify and authenticate identities while ensuring that the application can be easily navigated and adopted by many. Whether it be authenticating personal data for financial transactions through back-end databases or verifying age for restricted goods websites, eID-Me works with all levels of services from private to government/public sector. The first eID-Me pilot is scheduled to deploy this year end. We thank DFI for your kind nomination and we look forward to seeing everyone at the Awards Ceremony on November 26th, 2018.